Yes Sir, that is a Large-bodied Earthworm. Approximately 1.5 meters in length and greater than 500 grams weight. I found this earthworm in extremely wet rich forest soil in the foothills of Sumaco Volcano in Ecuador. Elevation ~ 1500 MASL. Calling all worm experts. I need help identifying this worm. Muad'dib, we have wormsign the likes of which god has never seen. 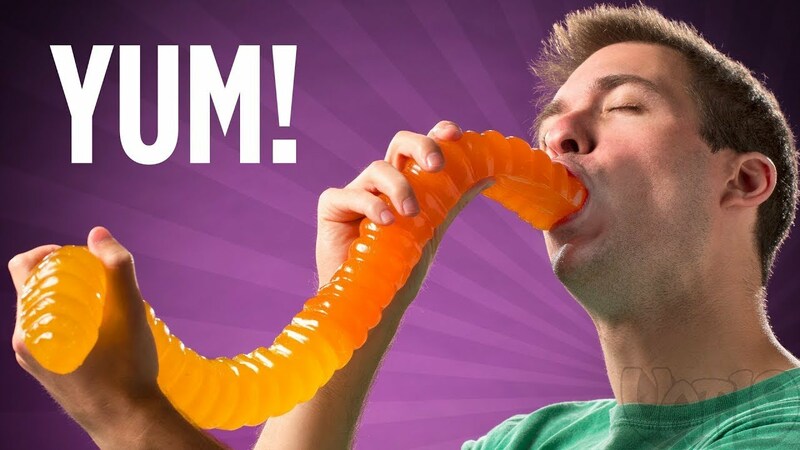 I didn't know this gummi worm was life size! If you walk without rhythm... ah, you never learn. and that nearly didn't work out so well for him! And if you cut it in half, you get two large-bodied earthworms! Blessed is the Maker. May he cleanse the World with His passing. I've heard that there are a lot of new-world earthworm species that are extinct or driven out of their habitats by the introduction of old-world earthworms, crops, farming practices, and the attendant changes in soil chemistry. In my corner of CT, all the forests are second-growth, pretty much all tulip trees (tulip poplar?) and the understory is like 100% garlic mustard, which was also brought in because... food? (You can make a semi-acceptable pesto out of it but it's only good the day it's made.) At least it makes a tall, wavy environment for deer ticks to wait for you to walk though.